Department of Civil Engineering at IIUM is poised to produce engineers who are professionally competent, ethically committed and possess sound Islamic personality. Students in the department undergo extensive practical training through a series of theoretical and laboratory courses, including a twelve-week industrial training exercise in a relevant industry. There is a variety of elective courses for the students to specialize in Civil Engineering programme aimed to possess strong foundations in engineering with firm Islamic values, ethics, professionalism as well as management skills. The goal is to make IIUM Civil engineering graduates competent in the design and analysis of facilities related to the infrastructures, environment, water resources, transportation, etc. 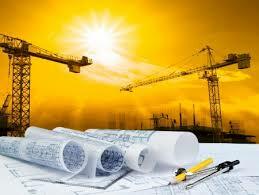 All staffs of the Civil Engineering Department are dedicated to assist build the carrier of the students.